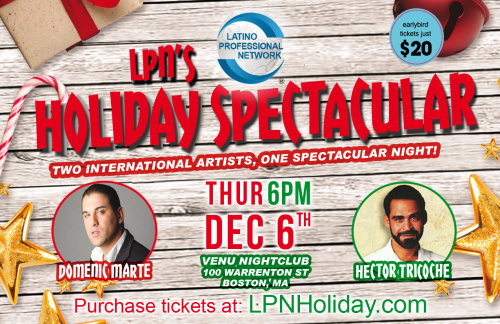 This year Venu Boston is hosting the Latino Professional Network (LPN) December Networking Event and Holiday Spectacular! 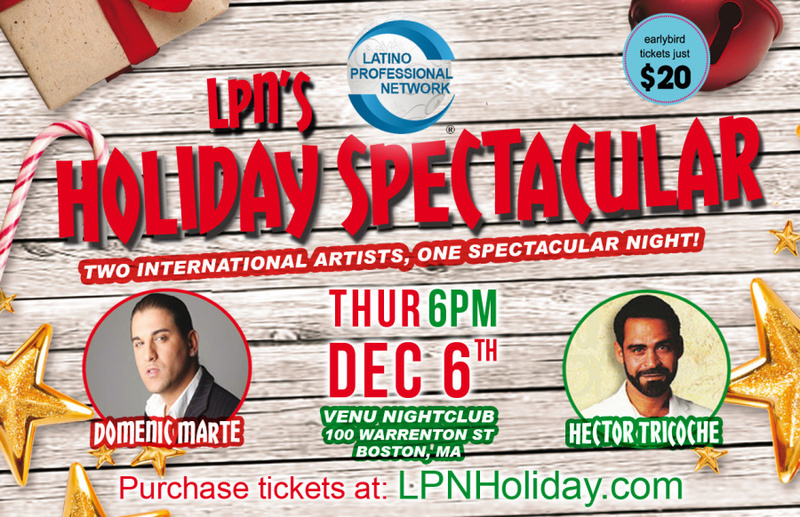 Music by Salsa Legend Hector Tricoche and Latino Billboard Bachata Pop Pioneer Domenic Marte performing live!!! Doors at 6pm, Hector Tricoche at 7pm & Domenic Marte at 9:30pm.